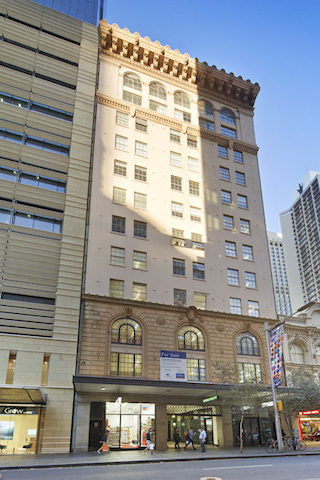 This Iconic Commercial Strata building is situated on the Eastern side of Pitt Street between Market and Park Streets in the revitalised Midtown Precinct of the Sydney CBD. This building is only fifty metres walk to Pitt Street Mall, some hundred metres to Town Hall Rail Station and adjacent to the almost completed 800 million office tower and retail piazza on Pitt Street. The property is opposite the newly refurbished Hilton Hotel. This suite comprises a fitted out boutique office overlooking Pitt Street which has abundant natural.